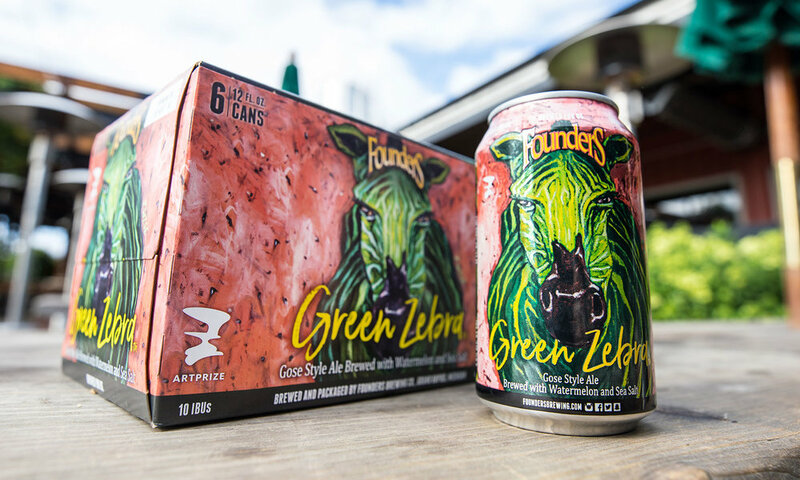 Pint Night is here once again, this week featuring Founders Green Zebra! This beer was brewed to benefit ArtPrize, the world's largest art competition held in Founders' home city - Grand Rapids, MI! Subtly sour and a little sweet, this ale is a refreshing take on a nearly extinct German style, gose. Watermelon is the highlight of this lightly-hopped treat and gives it a hint of satisfying juiciness. The soft mouthfeel and dry finish comes courtesy of the addition of sea salt, a traditional gose ingredient. This will be a perfect beer to help us finish up summer, and head into autumn! Come sip this refreshing beer in our bar after 7, and keep the custom glass! Cheers!